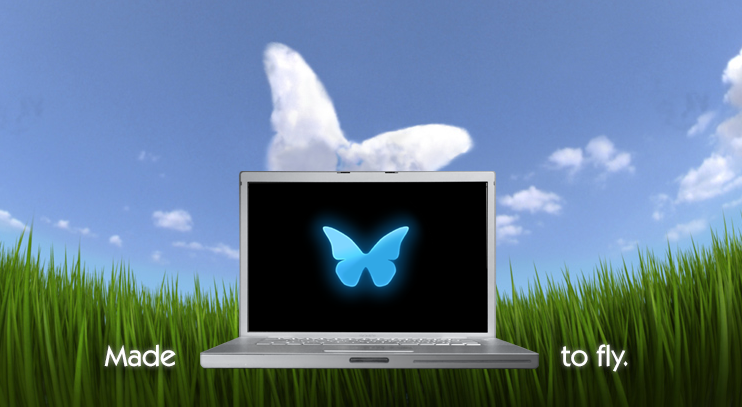 MorphOS is a lightweight, highly efficient and flexible desktop operating system. It includes primarily proprietary as well as open – source components. If you have an extra PowerPC machine and you are looking for some challenge go forward. You guys know the drill, before you try anything, please, make sure to back up everything important or everything. G5 Support coming in Morph OS 3.2 later this year.Still a few bugs to work out. MorphOS surely breathes new life into powerpc macs. I was stunned to see 720p videos on 1 Ghz G4. I saw some tests on youtube. It is much faster. But I presume you would have a lot of compatibility problems. For instance: can you read/write office docs on MorphOs? Dont Work on a G4 Dual 1,42 …. What video card has your MDD? Only ATI are supported. Ok, could you tell me more information what exactly mean “don’t work”. That means won’t boot for example or something else? People (me for example 🙂 getting this effect with sata sil3112 pci card. Do you have this card or better way: what configuration do you have? Not trying to be negative but morph is a joke. Most of it is closed code and there are next to no standards used. It’s not good in any regard. Anyone who thinks it is must be ignorant to better options. OS X is restrictive enough compared to Linux or BSD and morph only adds restrictions. Linux or even Leopard/Tiger are far more capable. Morph does nothing that those two options don’t do better. My main point here is that morph will only serve you well if you desire a worse experience will more limits. The problem with “alternative” OS, is that you are facing more problems (compatibility, drivers, lack of apps) than they would bring benefits (in terms of speed, for instance). To compare: I like Ubuntu very much, it is the best of both worlds (Linux and Mac), but as soon as you have to be compatible with non-Ubuntu users, things get difficult, and it is more interesting to stay with good old OSX. Since the Ubuntu’s are all Debian based just as MintPPC is the same apps will generally work on all 3. Ubuntu/Lubuntu and Debian also have the the most developers of all the PowerPC Linux. Gentoo Linux PowerPC also makes it easy to port apps. It’s pretty much built around being able to port any Linux app to it’s own needs. Then there is of course BSD and it’s amazing Ports system. The possibilities with it are truly endless but it’s not user friendly in any regard. This is why I push for Lubuntu use on my blog but I myself am predominantly OpenBSD. The point of a truly open OS is that you can make it me anything you want it to be. Port ANY app and literally do ANYTHING your imagination and abilities allow. OS X (any version) and MorphOS are both comprised of mostly closed code. That means that the only control you get is what they allow you to have. It’s taking the passenger seat at your computer rather than driving. Sometimes it’s easier to be the passenger 😉 At the office, I have to run Microsoft Office (all other users are pc-users, I am the only Mac user) – since I use Office Mac:2008 I can open and modify all possible documents. If I try to do that in Open Office, I lose lay-out elements. So I prefer OS X. I also like the look and feel which is always following the same logic in OS as well as apps. And the integration of Mail, iCal, Address Book, browser, finder, etc. is marvelous! When you have the attitude that easier is always better then you’re really selling yourself short as a user. I am not talking about a computer that isn’t yours (like a work system) either. I am talking about what you run on your own hardware. That is where it’s all about your choices and your capability. Nothing else matters. The sad thing in all this is that so many people see a compatibility or personal inability issue in Linux as a reason to flee rather than actually LEARN how to make it work. To go into using any new OS and expect everything to be just the way it was on the previous one is just ridiculous. You need to relearn things and through that process you will become an all round more capable user. It’s a very liberating feeling once you free yourself of the big 2 OS and learn how to cope in a new environment. A new environment that gives you endless possibilities rather than the ones someone else chooses to give you. I don’t look at Apple and MS as evil in a greedy rich powerful company way. I look at them as evil for dumbing down users a very large amount over the last couple decades. This very dumbing down is what locks the user into user friendly 100% pointy clicky computing. Fortunately, there are more PowerPC users seeing the open source light at the end of the tunnel than there are those in denial. As someone who greatly enjoyed using her Amiga back in the early 90s, Morph OS is really cool. It’s incredibly quick even on ancient PPC hardware and has quite a collection of proprietary and open source software available for it. The only criticism I’ve had is that it’s price is somewhat steep, especially for upgrading a 9-10 year old Mac. Although €79 is a lot more reasonable than what they were asking in the past. But to be fair, the choices of hardware were a lot slimmer and so there probably weren’t as many copies being sold to justify lowering the price. In any case, it does a heck of alot more than Panther or Tiger on a lot of these old machines, especially with browser support being all but dead on PowerPC under OSX these days. So I really can’t complain too much. It’s a quality product, and while I’m sure a lot of people looking to put some life into an old G4 would be just fine with Linux, Morph has a lot of relatively new stuff to play with and is designed to be fast on the hardware from the get go.